Lives changed, relationships built, growth seen. Through all we’ve seen this semester, the one thing I have realized is that God is on the move. We have continually seen him at work through all we have done. 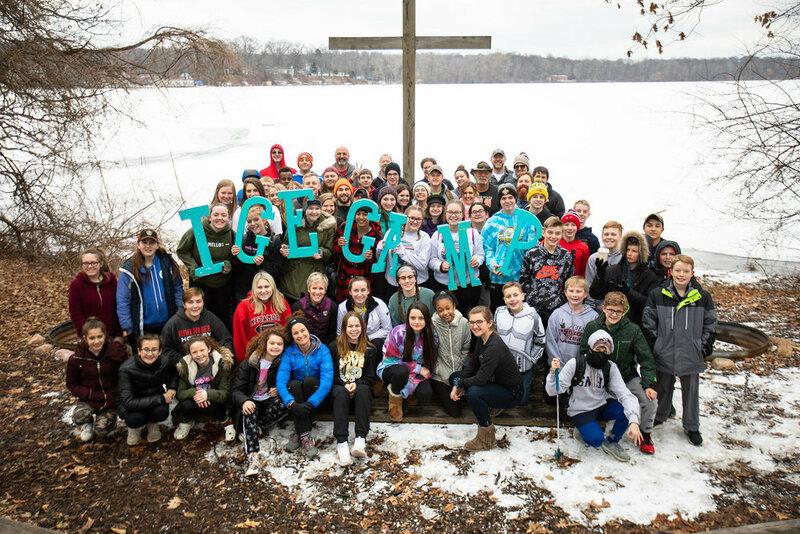 At club, during events, in appointments, through small groups, and even during our partnered events such as Ice Camp, our team has seen God change lives. I have been amazed at how many unexpected deep conversations we have had. We know it is all because of God’s work! The most amazing moment I observed in the past few months was God moving in students’ lives at Ice Camp. Partnering with Great Oaks, 67 leaders and students went to Miracle Camp and Retreat Center, excited for what God could do. Of course we had a blast with fun games and time together, and God was preparing hearts. Students began opening up about difficult things right when we arrived. It came to a culmination Saturday night, when students began to come forward, sharing joy they had been given, sin they were convicted of, and even deep pain in their lives. We watched students come together to encourage and support one another. The crazy thing was that it had very little to do with our plans! God was changing hearts! Since then, our team has continued to see God in many conversations. Whether we talked about the hope, joy, and peace we have in Christ, or the deep pain we experience, I am noticing that God is preparing us for something. I am so excited to see what he has planned! Please join us in prayer for the rest of this semester. Pray that we would follow Christ’s lead and speak what he is calling us to speak. After all, He is the one who changes hearts and lives! This summer we are taking around 175 students and leaders to YFC Camp in North Carolina. This is a life-changing trip for every kid that comes. There are many new students who want to attend this year! We will have fundraisers and scholarships available, because the biggest obstacle for many students is the price-tag. It costs $525 for a student to attend for the week. Would you be willing to help sponsor a Metamora student to camp? Please contact me if you would like to help! Email. Phone. Text. Papermail. Any method works great!